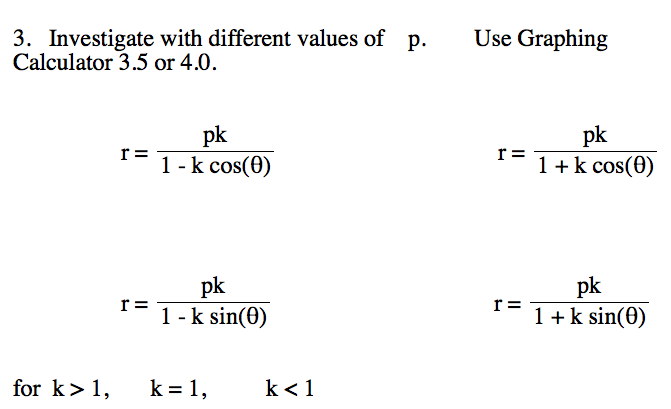 Graphing Calculator 3.5 or 4.0, Geogebra, or Desmos is suggested for these investigations. Some of them could be done with a TI-83 or similar hand-held technology. Or, for a challenge, try making the graphs with Excel.